Excipient World is all about the vital business of excipients. Manufacturers that rely on excipients for drugs and products would have to attend several events and spend many more days and costs to receive the quality and level of excipient education and sourcing opportunities presented at Excipient World. For nearly 20 years, Excipient World has educated thousands of pharmaceutical, biologics, veterinary medicine, and medical device / combination product manufacturers, preparing professionals to advance their careers, overcome challenges, and develop new innovations. Manufacturing professionals attend Excipient World’s conference program to explore new approaches to drug development and ways to tailor drug delivery, solve solubility and bioavailability challenges, increase the life cycle potential of drugs in their portfolio, improve manufacturing quality and efficiency, incorporate the latest regulatory and compliance mandates, source new excipients and learn about the latest trends and technologies. As demand for more difficult-to-develop compounds and formulations rises, Excipient World can help manufacturers evaluate nonconventional technologies for effective delivery, mitigate risks, and enhance the efficacy of drugs and bringing these compounds to the market faster to meet customer demand. Drug, biologic and veterinary medicicne manufacturers can also learn about multi-functional excipients that can play an important role in innovating delivery technologies and helping in-line extensions of marketed drugs and biotech products. Full-Conference Program: Two days of education sessions covering critical topics in formulation, delivery systems, regulations and compliance, new excipient solutions and more. 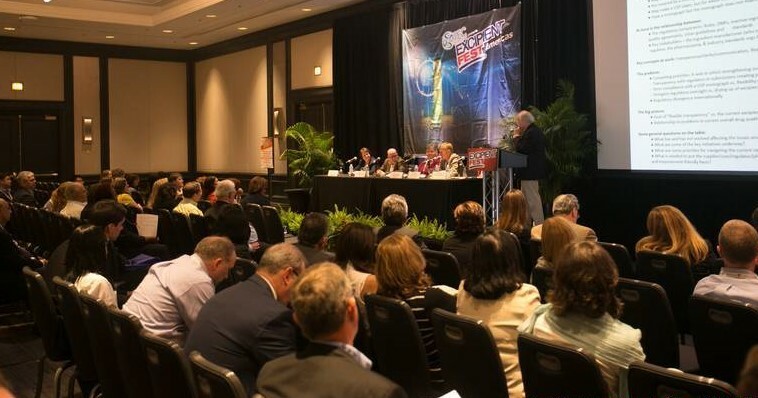 General Keynote Sessions: Invited thought leaders and industry experts will share their knowledge in special presentations for all participants on key issues facing manufacturers that rely on excipients for their products. Poster Presentations: Posters on excipients will be presented by universities and industry suppliers from around the world and displayed during the event. Awards for the best academic posters will be given at the conclusion of Excipient World. Exhibition: A vibrant exhibition marketplace taking place over two days where attendees can meet with excipient manufacturers, contract manufacturers, testing labs and other industry suppliers to learn about and source solutions. Networking: Excipient World offers many opportunities for attendees to connect, network and have fun with other manufacturers, speakers and industry suppliers.